Established in 1896, Denver Zoo is one of the largest zoos in the United States. Located in Denver inside the beautiful City Park, the zoo started when a black bear cub was presented to the mayor. Since then, its collection has continued to expand and it is currently home to more than 4,000 animals representing over 600 species. In 1918, it became the first zoo in the United States to adopt naturalistic zoo enclosures. The Bear Mountain exhibit featured artificial rock formations made out of plaster casts that were modeled after natural cliffs near Morrison, Colorado. Animals could live in surroundings made to resemble their natural environment rather than behind bars or fences, so visitors could see them at eye level. 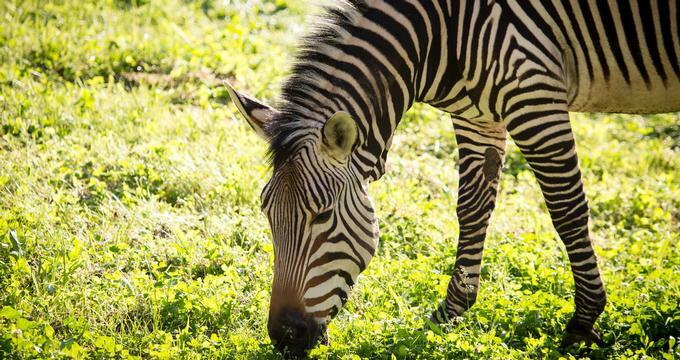 Today, the zoo attracts more than 2 million visitors a year and it strives to be a leader in conservation efforts in protecting different species and their natural ecosystems. They have focused their efforts not only at the compound with their conservation education center, but they are also sponsoring projects around the world. Since 1996, it has taken part in more than 600 projects in 62 countries, committing more than $1.5 million annually to field conservation. Currently, its main efforts are focused in: Botswana, Mongolia, Vietnam, Rocky Mountains/Great Plains and The Altiplano of Peru and Bolivia area. The facility is also exploring ways of providing an interactive experience to engage and educate the public about its conservation efforts. One such idea is the creation of a two-story tree to educate about the different ecosystems that exist inside a rainforest. For its commitment to conservation and sustainability, the zoo has been awarded with numerous accolades, including the title of the “Greenest Zoo in the Country.” In 2011, it was the first recipient of the Association of Zoos and Aquariums’ Green Award that recognizes its environmentally friendly programs. It was also accredited by the Association of Zoos and Aquariums in 2012, affirming its delivery of high standards in animal care and welfare. The exhibits span over 80 acres of the facility comprising species from all around the world from hoofed mammals to birds. It is also home to many endangered and rare species, including the okapi, Amur leopard, red-bellied lemur, Siberian tiger and black rhinoceros. These animals are divided into various exhibits, including Bear Mountain, Primate Panorama, Elephant Passage and Benson Ridge. Built in 1918, this was the zoo’s first naturalistic habitat in North America to house an orphaned black bear cub that was presented to the mayor of Denver. Back then, this was a revolutionary design because people were able to view animals at eye level without visible bars or fences. At the same time, its enclosures were landscaped such that the animals could roam about in man-made surroundings that were modeled after their natural habitats, rather than in tiny confined spaces. The historic exhibit is now officially listed on the National Register of Historic Places. Currently, the exhibit contains grizzly bears, Asiatic black bears and coati. Other features in the section are Monkey Island and Sheep Mountain, two all-time favorites among children. The former features an island housing spider monkeys, langurs and capuchin monkeys, while aquatic birds live in the moat surrounding it. Kids will enjoy the train ride, carousel and woodland garden that are found in the area. The award-winning Predator Ridge houses the zoo’s African animals, including two prides of lions, hyenas and African wild dogs. In 2006, it won the prestigious Association of Zoos and Aquariums ‘Exhibit of the Year’ award that recognizes the zoo’s excellence in conserving and constructing exhibit space that preserves the animal’s health and well-being. Staying true to its theme, the exhibit was designed to recreate part of the Samburu National Reserve in Kenya with rock outcroppings, native brush and termite mounds. Apart from its naturalistic design, it is also unique because of its rotational exhibit approach that targets social African carnivores. The animals are alternated among three different habitats to encourage their instinctive development because the odor left behind by previous inhabitants are supposed to stimulate their sense of smell and encourage them to mark their territories. The aim of this flexible arrangement is to regularly arouse their natural behavior and expand their experiences. This also provides them with exercise opportunities to keep fit physically. Furthermore, repeat visitors are treated to a potentially different animal viewing experience here. The zoo describes the Elephant Passage as the facility’s ‘crown jewel’ with more than 10 acres of land dedicated to showcasing animals from Asia. Some of the animals featured are greater one-horned rhinos, Malayan tapirs and clouded leopards. Most notably, the exhibit has one of the largest elephant habitats in North America, which also has a significant population of bull elephants. An interesting fun fact is that the zoo pumps in more than one million gallons of water to ensure that the animals have enough water for swimming and bathing. Like the Predator Ridge, animals in this compound are also routinely rotated among five yards, with the sixth exclusively reserved for the tapirs. Three animal crossings stretching more than 2 miles are built to accommodate these movements. The design of habitats in this section encompasses features such as mud wallows, scratching trees and shade structures. Guests can also expect to see gibbons swinging over their heads. The exhibition also shows how humans interact and coexist with wildlife and the environment in Asia, such as the destructive powers that elephants can cause to rural villages and how Asian religions relate to animals. Along the way, they highlight the rich cultural connection people have with animals and emphasize on the importance of protecting places for wildlife. Additionally, there is a daily giraffe feeding session where visitors can hand-feed the world’s tallest land creature. In line with the zoo’s belief in constructing naturalistic enclosures, Primate Panorama features open-air mesh tents that rise up to four-story’s high and stretch across 7 acres for monkeys to swing around. Meet tree-dwelling monkeys including colobus monkeys and red-capped mangabeys that are likely to be climbing on the twisted vines. Meanwhile, gorillas and orangutans are housed in separate spaces covered with abundant foliage, rocks, climbing ropes and hammocks to ensure they have plenty of room to move around and rest. Tropical Discovery is home to some 140 species of plants, 123 species of fish and more than 1,200 animals from mammals to invertebrates. They are housed inside a conservatory to maintain temperatures that support a complex rainforest environment, comprising coral reef, tropical marsh, cypress and mangrove swamps. It is in these controlled conditions that visitors have the opportunity to experience a unique ecosystem that supports immense diversity in the tropics. One of the highlights of this exhibit is the endangered Komodo dragon, which is the largest lizard on earth that has killed and eaten humans. The Feline House was the zoo’s second big hit after Bear Mountain when it opened in 1963. Today it is home to a wide variety of cats, including the Siberian tiger and Amur leopard that used to roam Russia and the Far East. The World Wildlife Foundation classifies them as endangered and critically endangered respectively, and they are both found at the Denver Zoo. Guests are welcomed by a waterfall, tropical plants and a cacophony of bird squawks at the indoor aviary. From colorful parrots to pink flamingos, more than 200 species of birds are allowed to fly freely among trees and above humans uncaged. There is also a nearby feeding area for zoo visitors to feed lories and lorikeets, as well as other outdoor exhibits, including an exhibit on African and Humboldt penguins. The Northern Shores is a family favorite, particularly the highly popular daily sea lion show that has delighted children and adults alike. The aquatic-themed exhibit showcases polar bears, seals, sea lions and river otters among other marine animals. Located in its vicinity is a kids play area that features a sand digging area, climbing web and rock structures for them to explore and have fun. During the warm summer months, the zoo will open the tidal pool that has a running shallow stream for children to splash in and cool off from the heat. Back to: Best Things to Do in Denver.